sparqs > Supporting Institutions > Supporting reviews > How Good Is Our College? Student engagement is at the heart of How Good Is Our College? (HGIOC), the evaluation and enhancement process for colleges in Scotland. In December 2016 the Scottish Funding Council published Arrangements for assuring and improving the quality of provision and services in Scotland’s colleges, which sets out how colleges should develop their annual Evaluative Report and Enhancement Plan. These two documents evaluate colleges’ progress against the HGIOC framework and colleges’ regional Outcome Agreements. Active participation by students in self-evaluative activities is an important element of HGIOC, with indicators mapped to A Student Engagement Framework for Scotland. Each key principle is underpinned by a high-level challenge question and related quality indicators. sparqs works with students' associations, colleges and Education Scotland to develop student engagement in HGIOC both nationally and within colleges. Throughout 2018 we are developing a practice guide for colleges and students' associations on student engagement in HGIOC and self-evaluation, which will include tools and ideas for development plus case studies from across the sector. It is being developed in partnership with Inverness College UHI and the Highlands and Islands Students' Association (HISA) and is intended to be published in 2019. There is more general information about recent developments in college quality on our Quality Arrangements webpage. sparqs have created a short mapping document which pulls out the supplementary challenge questions from the framework under each quality indicator which relate to student engagement, and maps those questions against the five elements of Scotland's Student Engagement Framework. It can act as a useful developmental tool for colleges and students' associations to reflect on their student engagement activity in key aspects of the framework. 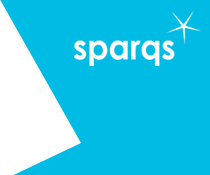 In February 2017 sparqs hosted an event for student officers, students’ association staff and college quality managers on the new quality arrangements. The day included participation from Education Scotland and the Scottish Funding Council. More information is available on the event webpage. We have run additional workshops on student engagement in HGIOC at the sparqs conference in March 2017 and at That’s Quality Colleges in August 2017. To discuss student engagement in HGIOC further, please contact Hannah Clarke.